Turkeys are just plain tough. They're paranoid, uncooperative, and often uncommunicative, but you can score on even the toughest turkeys. 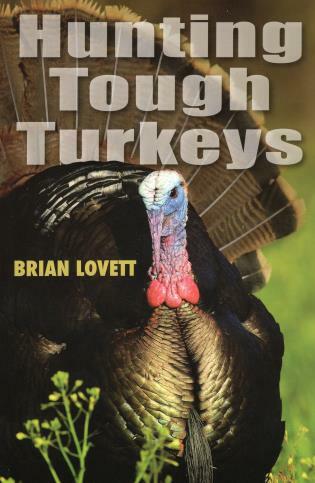 Brian Lovett's Hunting Tough Turkeys examines twelve of the toughest turkey-hunting situations encountered by hunters and provides detailed strategies and game plans for dealing with those difficult birds. Wide open meadows and pastures require keen observation of the turkey's movements; windy days make it tougher for the turkeys to hear your calling; and turkeys on the move force you to act quickly--Lovett explains what to do when you find yourself hunting these kinds of birds. Filled with vivid photos by photographer Tes Randle Jolly and peppered with anecdotes from the author's 20+ years in the turkey woods, Hunting Tough Turkeys is a must-read for any hunter trying to crack the tough-turkey puzzle. Brian Lovett is the former editor of Turkey & Turkey Hunting and Realtree Turkey Hunting magazines. He has written and edited several other turkey hunting books, including the 2005 Turkey Hunter's Almanac. He lives in Oshkosh, Wisconsin.